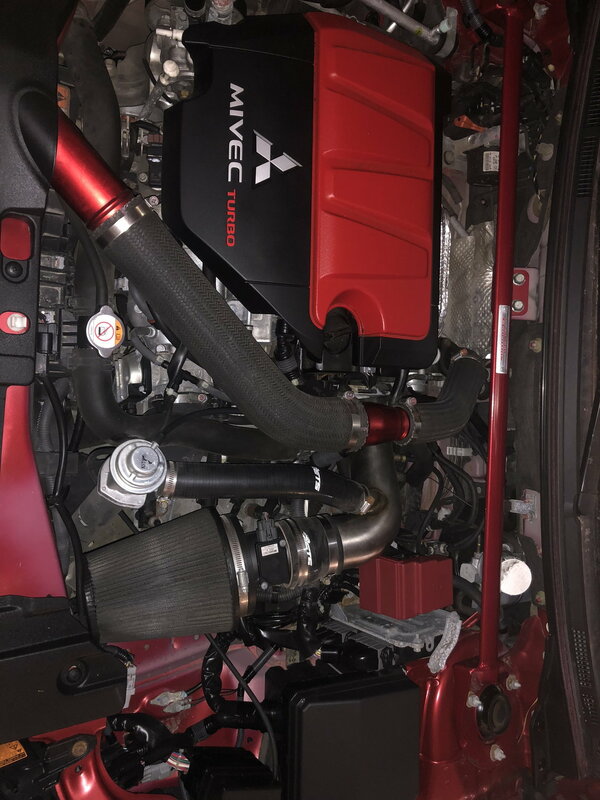 hey guys new to the forum and new to the evo..
so I just bought my 15 x gsr and it’s got ets intake, looks like invidia catles downpipe with invidia single exit exhaust, lightweight fly wheel with comp clutch don’t know the stage. And Cobb with a protune. i searched and found some stuff but nothing to my prob beside the a/c issue witch no one really answered lol i can make vids and logs if you guys need it. I dont know who tuned it I bought the car with all the stuff on it 2days ago...the dealer said they would look at the a/c issue but I’m thinking it’s a tune thing so be4 they look at it and mess things up I wanted to see if Someone has the same issue and if it’s something I can do..
Last edited by X86; Mar 6, 2019 at 05:23 PM. dyno tune or road tune it. 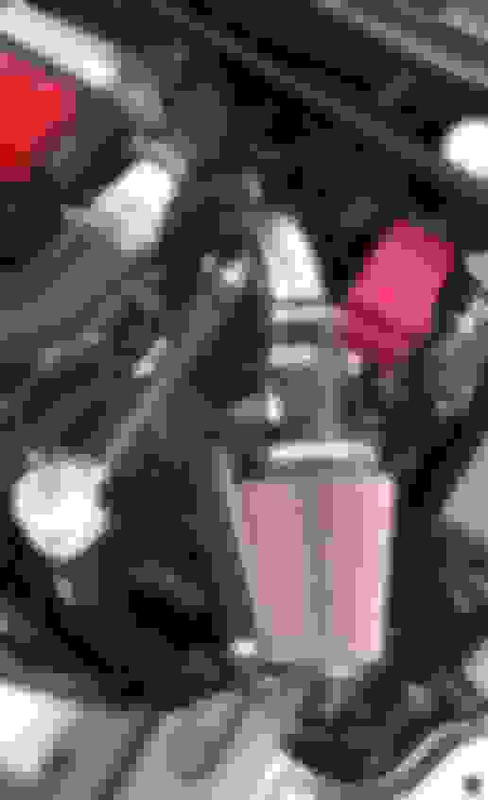 Does the intake have the heat shield? Can you send an engine bay picture? Robert's asking about the heat shield because if the radiator/AC fan blows on an open cone intake, it messes with the MAF reading and can cause idle / stalling issues. If those check out, it's quite likely that the tune doesn't match the installed parts any more and you're going to need to address the tune. DO NOT flash it back to stock unless you have the stock parts to put back on the car. Running an intake and catless on the stock tune would be asking for trouble. If the heat shield isn't there the intake gets super hot air when the fan comes on. Messes with the idle big time. It came like that so I thought that’s how it was supposed to be. But i ended up fixing the intake to the right direction yesterday.. after seeing other photos that ppl posted lol.. I couldn’t find ets heat shield separate so I ordered stm tuning heat shield hope it works lol. now for my other question prob stupid but do I need to retune it. Because wouldn’t it have been getting better/more air in the intake be4 the shield? is running the way it should and of course to see how much power shes making. with the A/C running and it started to idle horrible and the check engine light came on. It was so disappointing cause I really really wanted that Evo. to me to see whats going on. Turns out he owns a Evo, so he checked under the hood and noticed the problem right away. perfect again. Thank God cause not too many choices you know when shopping for a Evo.